Have you ever been to Neiman Marcus before? It's an incredibly luxurious department store that offers a cafeteria with some seriously high class goodies. 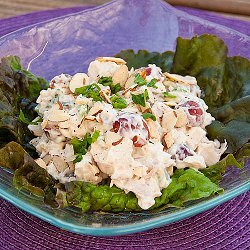 Whether you are looking for easy salad recipes for lunch or delectable dessert bar recipes, when you're shopping at the mall, you can stop by Neiman Marcus and enjoy your pick of satisfying recipes. With this recipe collection of 6 Easy and Delicious Recipes Inspired by Neiman Marcus, you can transport the high-class lunch and dessert recipes found at Neiman Marcus and re-create them in the comfort of your own kitchen. Never heard of Neiman Marcus? No worries! You'll soon fall for the flavors of these tasty, tried-and-true dishes. Save yourself some dough by steering clear of the mall and making these high quality recipes at home. Copycat Neiman Marcus Lemon Bars - Brighten up your dessert tray with this crazy classy addition. This fabulous dessert bar recipe is inspired by one of the most high-end places to shop. You don't need to spend like a Neiman Marcus shopper to make Copycat Lemon Neiman Marcus Bars at home. 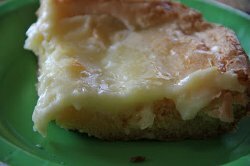 They're an amazing combination of light lemon flavor and gooey, melt in your mouth consistency. Make a whole batch for your next garden party and all of your guests will be delighted! 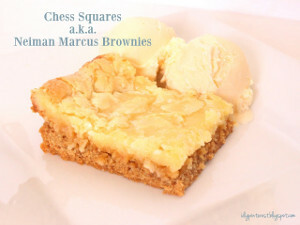 Copycat Neiman Marcus Brownies - With five simple ingredients you can create the delightful brownie from Neiman Marcus. These Copycat Neiman Marcus Brownies are very rich and delicious. You cannot go wrong using this recipe for your next sweet dessert. They are easy to make and will satisfy even the biggest sweet tooth. You can live a luxurious lifestyle by making these luxurious brownies. Don't hesitate to make one of the best brownie recipes today. 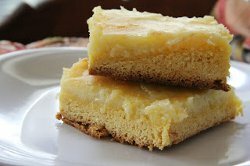 Copycat Neiman Marcus Gooey Butter Bars - I don't know about you, but I simply can't resist a recipe with "gooey butter" in the title. 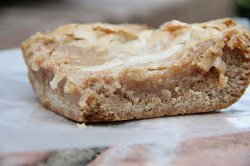 Don't take my word for it, bake up a batch of Copycat Neiman Marcus Gooey Butter Bars of your own and taste the wonder. It's a fun dessert bar recipe inspired by one of the classiest spots in the mall. Save a little money...skip the shopping spree and make these easy baking recipe treats at home. 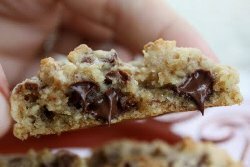 Copycat Neiman Marcus Cookies - Calling all shoppers! Don't fear mall fatigue, just power up with this unreal copycat dessert recipe. Ooey gooey to the max, these cookies are made with extra-thick batter. Chopped pecans add a nutty crunch. No need to pick them up, make copycat Neiman Marcus Cookies at home today. Copycat Snickerdoodle Neiman Marcus Bars - Change up your dessert routine by introducing this decadent dessert bar recipe with a twist. Snickerdoodle Neiman Marcus Bars are sinfully delicious. They're inspired by a department store known for its style and class, so naturally, you'll be stylish and classy when you whip up your own batch of treats. Share you sophisticated kitchen style with these wonderful dessert delights. If you like snickerdoodle cookies, you will positively flip for these dense, unbelievably good bars. What's your favorite Neiman Marcus inspired recipe? Be sure to let us know in the comments.